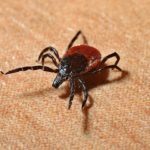 Tick-transmitted diseases can have a severe impact on our health. Tick populations and mosquitos are increasing and exposure to ticks becomes more common. 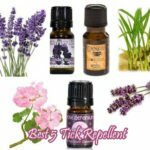 Repellents are important to protect people as well as pets from nasty bites and the diseases spread by these culprits. Three of the most popular insect repellents are DEET, Permethrin and Picaridin. 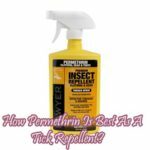 But when looking a Picaridin vs DEET vs Permethrin, how can you be sure which one is the best to use? (2 hydroxyethyl 1- piperidine carboxylic acid 1- methylpropyl ester) also known as Iaridin is an odorless and colorless compound used in insect repellent. Like DEET it can be applied directly onto the human skin or clothing to repel ticks and mosquitoes. Picaridin and DEET are very effective in repelling insects but Picaridin is not as easily absorbed through the skin than DEET. It also has less aggressive properties to plastics surfaces. Picaridin is sold in pump sprays, aerosols, liquids or wipes. The efficacy against insects lasts between 4 to 8 hours depending on the concentration of Picaridin as well as the amount applied. Factors such as wind, humidity, and temperature also play a significant role. Picaridin does not necessarily have any side effects unless you are hypersensitive to the active substance. (N, N diethyl-3-methyl benzamide), is a common ingredient used in insect repellent. It is effective against mosquitoes, flies, fleas, and ticks as they dislike the smell of DEET. Its effectiveness depends on the type of formulation, application pattern and physical activity of the user. Products containing DEET are available in a variety of liquids, lotions, and sprays and can be directly applied on the skin or indirectly on clothing and bedding. Formulations for direct application on the skin contain DEET that ranges between 5 percent and 100 percent. 100 % of DEET was found to offer protection of up to 12 hours while lower concentrations offered protection between 3 to 6 hours. When applied with common sense DEET can provide a safe and long-lasting effect against insects, however as a precaution DEET product should not be used on damaged skin or under clothing as DEET can act as an irritant and in some cases cause breathing difficulty, burning eyes, and headaches. is not a repellent but an insecticide. It is neurotoxic to the metabolism of insects and arachnids and kills them on contact. Permethrin belongs to the family of Pyrethroids, an organic compound derived from the flowers of pyrethrum plants. It works well against ticks and is generally harmless for humans if used correctly. Unlike DEET and Picaridin, Permethrin is to be applied to surfaces such a clothing, bedding or mosquito screens. Bugs that come in contact with those surfaces die. You can buy permethrin in spray bottles. Many permethrin sprays (Sawyer’s Permethrin Spray) are already pre-mixed to a concentration that you can apply on clothes without any preparation. The insect repellent does not harm fabric and is odorless once dried. Permethrin binds to the fabric getting rid of the risk of over-exposure to the skin. Permethrin is not only used in insecticides but in medication against scabies and lice. If not used correctly permethrin can cause mild irritation and burning. 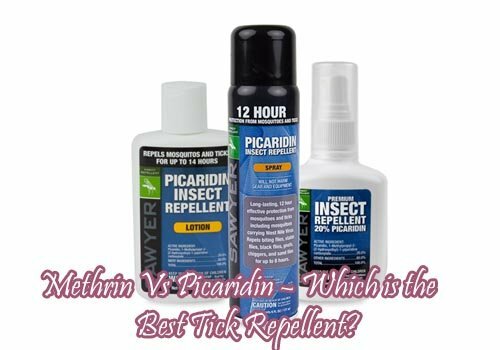 SO Picaridin Vs DEET Vs Permethrin, what’s best? All three repellents serve their purpose well. They have been in use by millions for many years. If you’re looking for the best tick repellent to apply on the skin, then you need DEET and Picaridin. Though DEET has the advantage of lasting longer, picaridin less likely cause’s irritation. If you want to be more cautious and avoid absorption of compounds, then permethrin is more suitable. Permethrin is well suited for applying directly to clothing to kill ticks that get in contact with it.